Cities are where strangers meet. But in Ahmedabad, a town which is yet to recover from the intense trauma of the 2002 communal riots, both Hindus and Muslims still perceive each other purely through a lens of fear and insecurity. The municipal corporation randomly picked some 8,000 families to resettle them along the Sabarmati Riverfront project — a list that naturally included Hindus and Muslims, and placed them in proximity to each other. There was no deliberate social engineering element to this exercise, but both communities protested and demanded to be kept separate because they felt this situation would leave them defenceless in the event of communal violence. Ahmedabad is notable for its lack of civic mixing. Generally speaking, associational forms of civic engagement (through trade unions, business associations, non-communal cadre-based parties) blunt religious tension and prevent it from spiralling into violence. As political scientist Ashutosh Varshney has pointed out, in 1969, the town witnessed one of the worst riots India had seen, but unlike in 2002 state machinery was not perceived as complicit. Cities of stark partitions are always vulnerable to communal conflagration — making them highly dependent on the police and administration to make sure the sparks are doused in time. In this case, the fact that representatives of both communities insist on fresh allotment, and intend petitioning the courts to undo this decision, goes to prove how little faith they repose in the state’s capacity to deal with incidents, or in each other. This nervous and dysfunctional dynamic means that citizens possess a true sense of trust and security only when they live among neighbours of their own community. Obviously, this kind of set-up would only sharpen existing fissures, and create an even more destructive, mutually suspicious climate. If the state accedes to this demand, it would be a clear admission of its own failure in keeping the peace. If it has any intention of subduing the flickering animosities and moving on from the pain and anger of the riots, it must insist on keeping the relocation plan as it is, and then ensure that the neighbourhood remains utterly safe. But then again, if only a single housing project could ensure integration. While Wahabiyat closes all the doors and windows on intellectual thinking, Sufism encourages freedom of opinion and unity with God. For Sufis, discrimination on the basis of race, religion, colour or creed, is ungodly. EVERY THURSDAY, thousands of Sufi shrines across the country come to life as rich and poor, men and women, old and young, scholars and the ignorant, Hindus and Muslims, Sikhs and Christians, transvestites and ganja-smoking dancers come together to speak out their hearts in tacit communication; to pray and party with hope and faith. They arrive with different identities but they leave with one message – love. Today when a bearded, gun-toting, salwar kameez attired soldier with bombs and fierce hate in his eyes has become a mascot for Muslims, it is still possible to discover the places and people where coolness of mind and body prevails. In the past decade, especially since 9/11, the Islamic world has been witnessing the falling popularity of Wahhabbism (so-called radical Islam) and the powerful resurgence of Sufi culture. It is a blunt response to the literalism and ethical bankruptcy of the Wahabiyat followed by Taleban, Sipa-e-Sahaba and Lashkar like organisations. While Wahabiyat closes all doors and windows on intellectual thinking, Sufism encourages freedom of opinion and unity with God. For Sufis, discrimination on the basis of race, religion, colour or creed is ungodly. 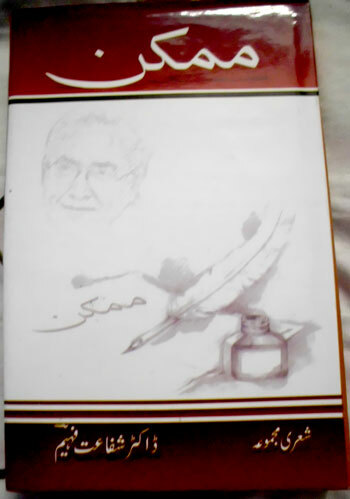 Intellectual development and creativity in cultural spheres are the hallmark of the Sufi movement. Sufism (mystic consciousness) calls for peaceful co-existence of all faiths. When the viceroy of India had visited the shrine of Khwaja Moin-ud-Din Chisti at Ajmer he saw the people coming there – Hindus and Muslims, Sikhs, believers and non-believers. After his visit he said: “India is ruled by two governments – the British government and the government of Khwaja Ajmeri, and the second one is the greater power because it rules people’s hearts.” Today, Ajmer is ready to welcome the devotees of Khwaja who walk down miles and miles to attend the 797th ‘Urs’ – the major Sufi festival that starts on June 26. 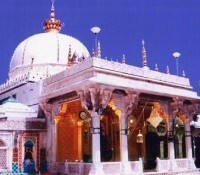 The Urs is a congregation for a Sufi saint’s death anniversary. It is not an occasion to mourn but to rejoice. 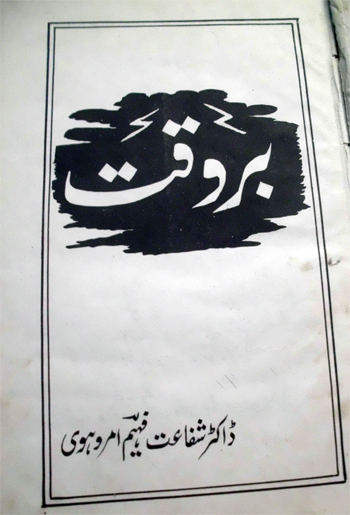 In Sufi doctrine death or ‘fana’ becomes a source of ‘baqa’ or ‘eternity’.“Duniya ki taraf peeth kara, to khuda ki taraf munh hota hai (If you turn your back to the world you will face God),” was the message of Khwaja of Ajmer. The infinite generosity of the lodge (an abode for lovers of God) is the polar opposite of the world of everyday greed and corruption. 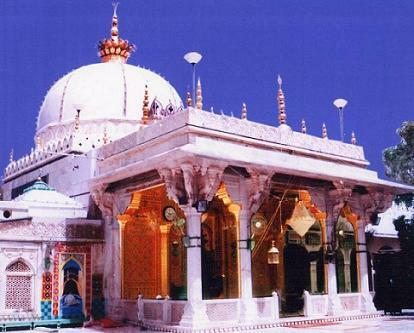 Khwaja Ajmeri was the disciple of Khwaja Abu Abdel Chisti and came to India with the army of Shihab-ud-Din Ghauri in 1192 AD and made Ajmer his final worldly destination.As the story goes, when Hazrat Waris Ali Shah of Deva Sahrief came to Ajmer, he took off his shoes and did not put them on throughout his life. Khwaja Ajmeri was himself a great devotee of Hazrat Imam Hussain who was martyred in Karbala (Iraq) 1400 years ago fighting against the tyrant Ummaiyad ruler Yezid. During his life, Khwaja was a symbol of love and amity between all religions and he inspires the same feeling even after his death.